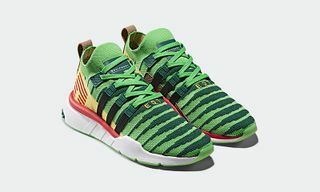 Key Features: Mid-top design, sock-like collar, Primeknit upper, nylon Three Stripes, EQT tooling, semi-translucent rubber outsole. 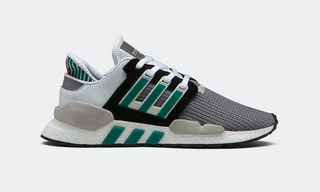 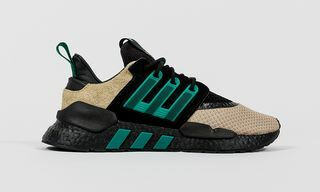 Editor’s Notes: In addition to being featured in the much-anticipated Dragon Ball Z collection, adidas is prepping another new release of its EQT Support ADV. 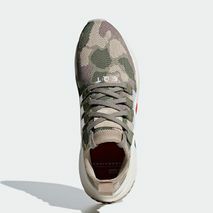 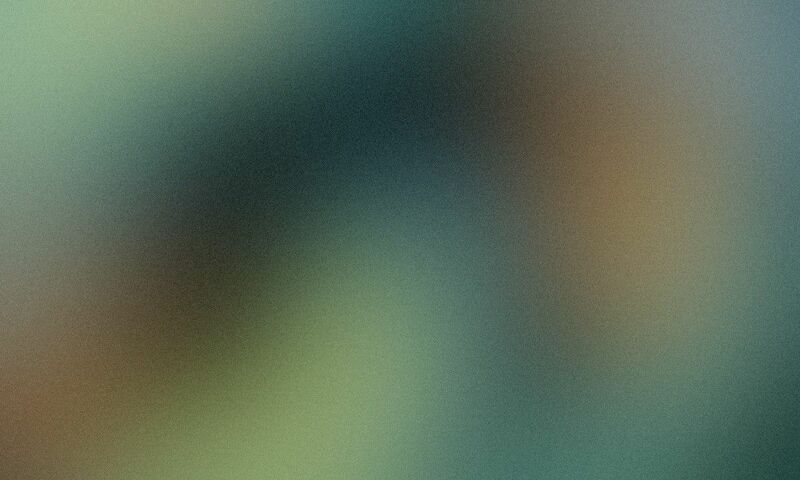 In mid-top form, this particular iteration is draped in camouflage. 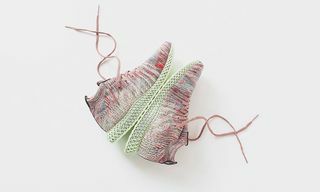 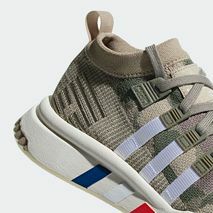 The sneaker notes construction from lightweight and breathable Primeknit, then welcoming nylon Three Stripes marks alongside. 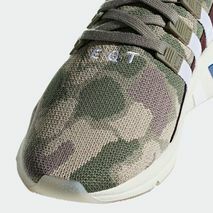 A semi-translucent rubber outsole is featured below, while branding hits take over the tongue and heel. 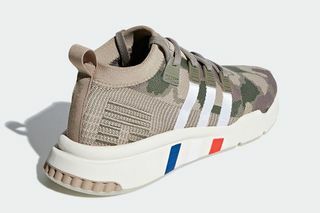 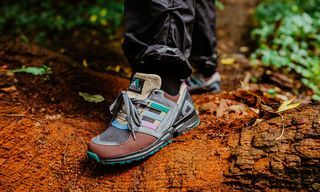 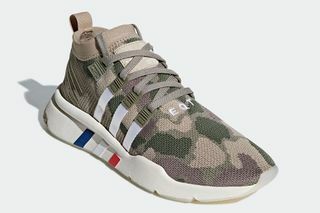 adidas has yet to announce a stateside release for the camo EQT Support Mid ADV, but expect delivery this fall. 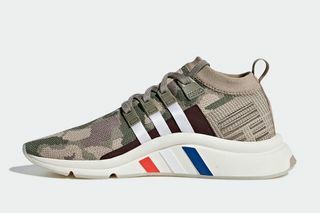 In other adi news, Jonah Hill has hinted at an adidas collaboration via Instagram.